Joe Caulfield is an award nominated comedian, regarded as one of the best female stand-up comics in the country. 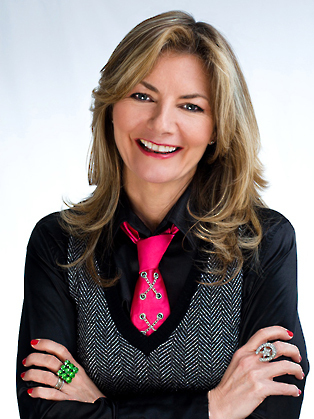 Best-known for her legendary one-woman shows, Jo Caulfield is regarded by the Observer as one of the finest female comics at work, and has recently been nominated as the best female Stand-Up in the country. She is also Graham Norton's head writer. Jo is in demand at all major UK comedy clubs, and has completed three nationwide theatre tours and successful shows at the Edinburgh festival. Jo is in demand at all major UK comedy clubs, and has completed three nationwide theatre tours and successful shows at the Edinburgh festival. A fourth tour commences April 2008. Recent international performances include New York, Los Angeles, Amsterdam, Berlin, Munich, Hong Kong, Singapore and Dubai. “Many of the points Jo Caulfield makes about the human condition would have sociologists stroking their beards in admiration, but her audience tend to be laughing too much to notice. Do not miss her.” (The Times).“Definitely the rising star of women’s comedy. Her mixture of cut throat wit and wildly accurate observation regularly brings audiences to their knees with laughter.” (Evening Standard). Jo is a regular guest on both Mock The Week (BBC2) and Have I Got News For You (BBC1).Other recent TV appearances include: Never Mind The Buzzcocks (BBC2), Saturday Night Live (ITV1), The Comedy Store series 2, 4 & 7 (Ch5), The Comedian’s Comedian (Ch4), Music Hall Meltdown (BBC4), The Bigger Picture (BBC2), Dawn French’s Girls Who Do Comedy (BBC2), The Stand Up Show (BBC1) and World Stand’s Up (Paramount/Comedy Central). She is also the head writer for Graham Norton, who said of Jo, 'I never knew I could like a woman so much'. Jo wrote and starred in 3 series of her own critically acclaimed Radio 4 comedy show, “It’s That Jo Caulfield Again”. Three episodes are available for download elsewhere in this site.